Consumers not only want to use their cards, but they’ll often spend more money when they do. Research shows that consumers spend up to 16% more when using a payment card. 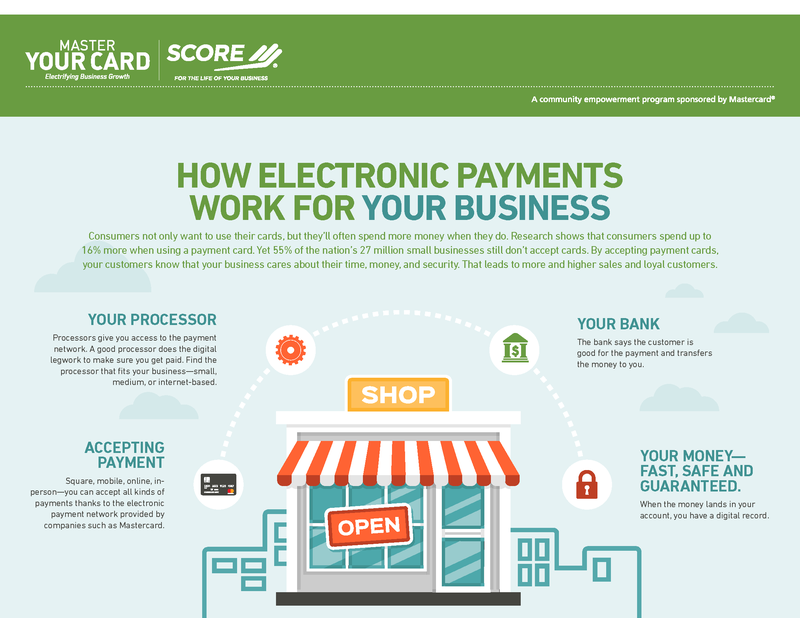 Yet 55% of the nation’s 27 million small businesses still don’t accept cards. By accepting payment cards, your customers know that your business cares about their time, money and security. That leads to more and higher sales and loyal customers. 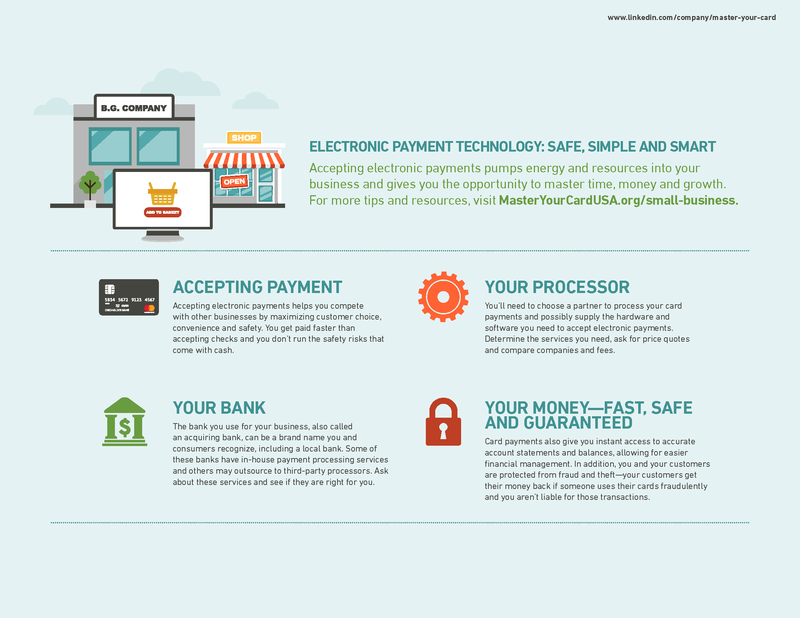 Download this infographic to learn about the benefits of accepting electronic payments.